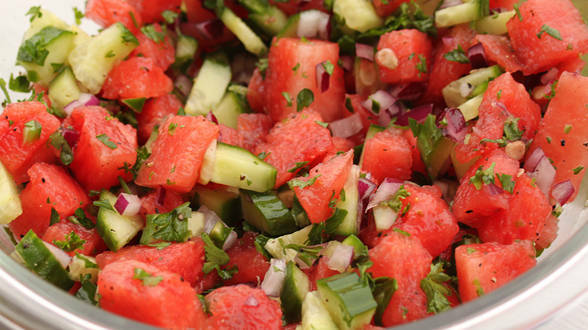 In a medium bowl, stir together watermelon, next 5 ingredients, and ½ teaspoon salt. Cover and refrigerate until ready to serve. In a large nonstick skillet, melt butter over medium high heat. Sprinkle tilapia with pepper and remaining 1 teaspoon salt. Cook for 5 minutes per side or until fish flakes easily with a fork. 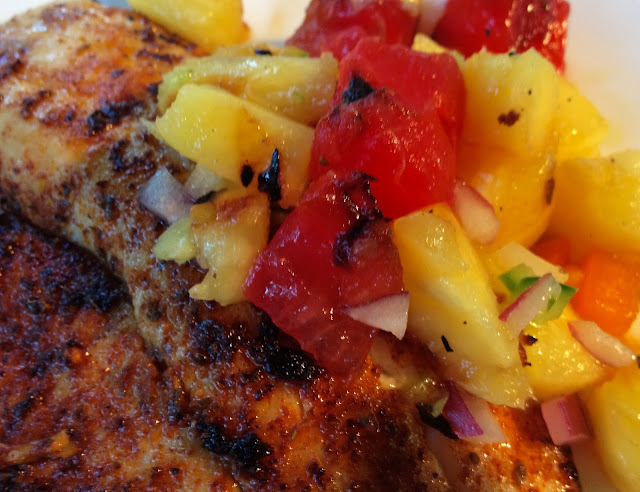 Serve topped with water melon salsa. End.